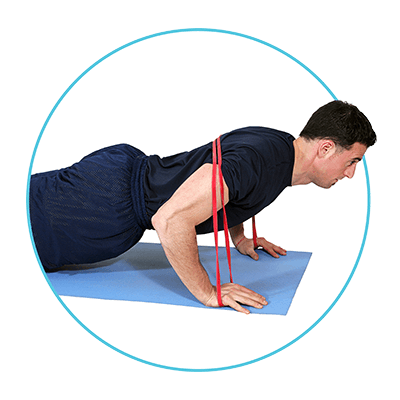 Most upper body exercise that requires a 'push' motion engage your chest in some capacity, we've figured out how to simulate and enhance many well known chest exercises using resistance bands. In fact, using bands is just as effective (if not more) as using heavy weights and dumbells. 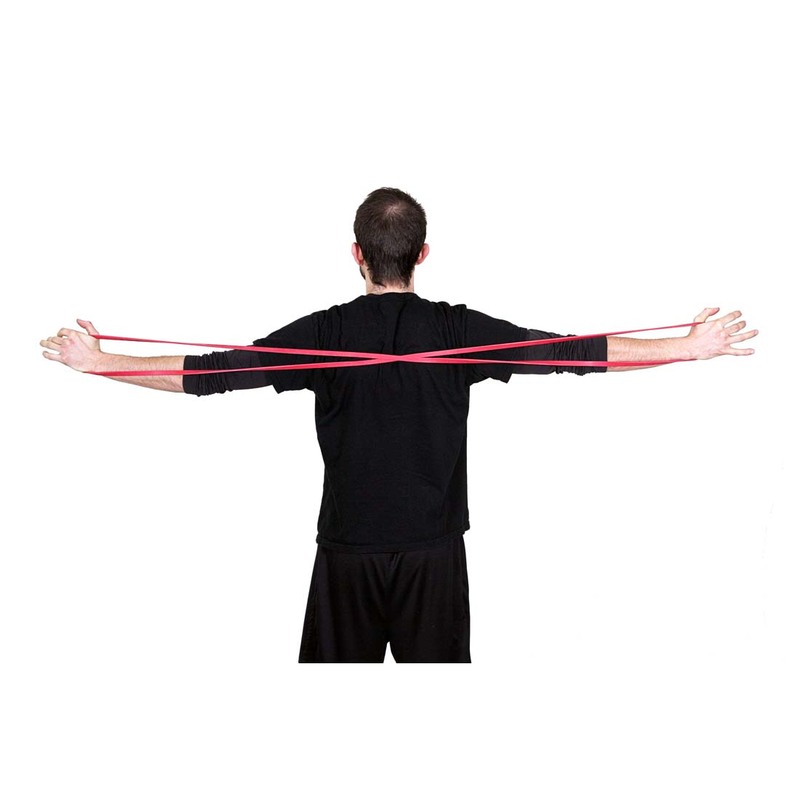 Target more muscle groups during your chest workout routine when using our exercise bands. They recruit muscles throughout your upper body for stability and power so you end up with a great shoulder, core, arm, and upper and lower pec workout. Increase strength training intensity and efficiency by keeping your back and upper body in a straight position, hold your feet shoulder width apart, keep abs tight, and squeeze your chest (pecs) contraction at the point of maximum resistance during each movement. This will increase your 'time under tension' and deliver the fastest strength gains. 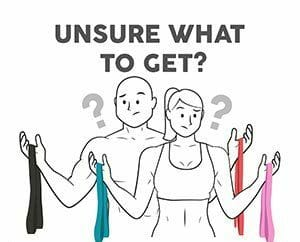 Chest lifts, push up presses, shoulder flys, and all of your favorite pectoral exercises can be done with resistance bands. 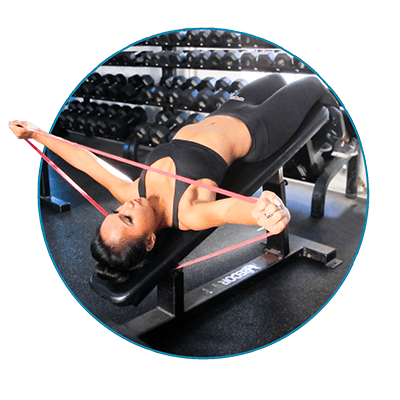 Because of the various tension our bands add to your pectoral workouts, you can combine bands to customize the amount of resistance that is optimal for each exercise and set. Getting great chest workouts without weights not only helps add variety so you don’t get board, but also it also helps accelerate strength gains through ‘muscle confusion’. This involves dynamically challenging your muscles with different load bearing activities, which results in faster adaptation and growth.